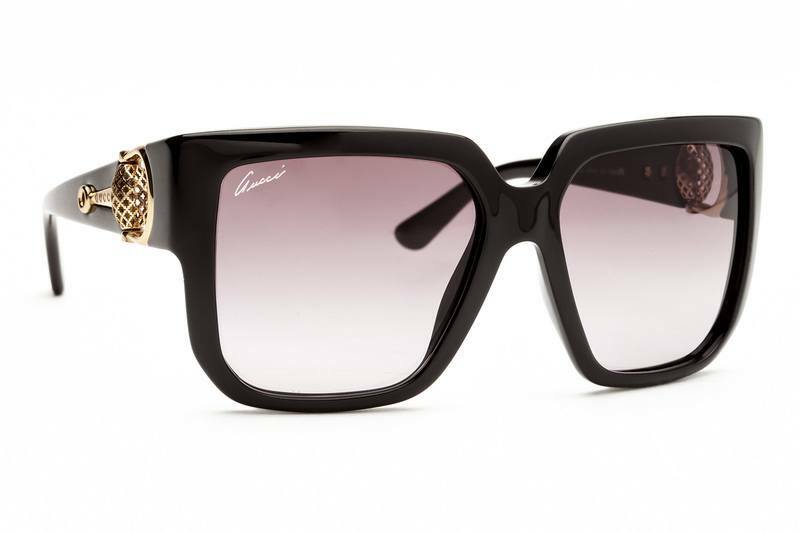 Sunglasses by the world-famous GUCCI will ensure an elegant look in any shape. This collection incorporates a classic chic look and tasteful colourful combinations together with the newest fashion trends. 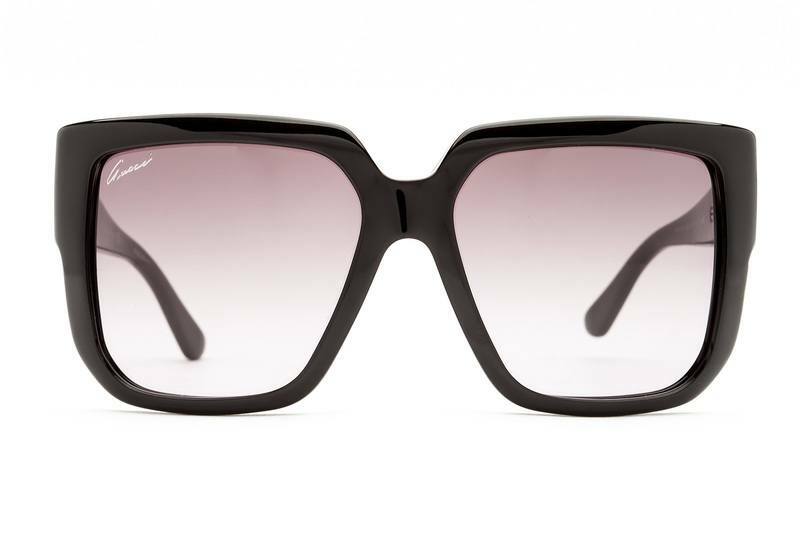 The women's sunglasses have black plastic frames, grey-toned lenses and decorative details on the arms. They provide 100% UV protection against sun radiaton and come with a case and a cleaning cloth. Hi, is is any return policy? I mean, free return in case if it doesn't pfit? Also is it 100% authentic? Is it original triangle case coming with it or any other? Cleaning Cloth original gucci? Any authentic papers or cards with it? Thank you. Hi, Yes we do have a return policy, please see our terms and conditions page! 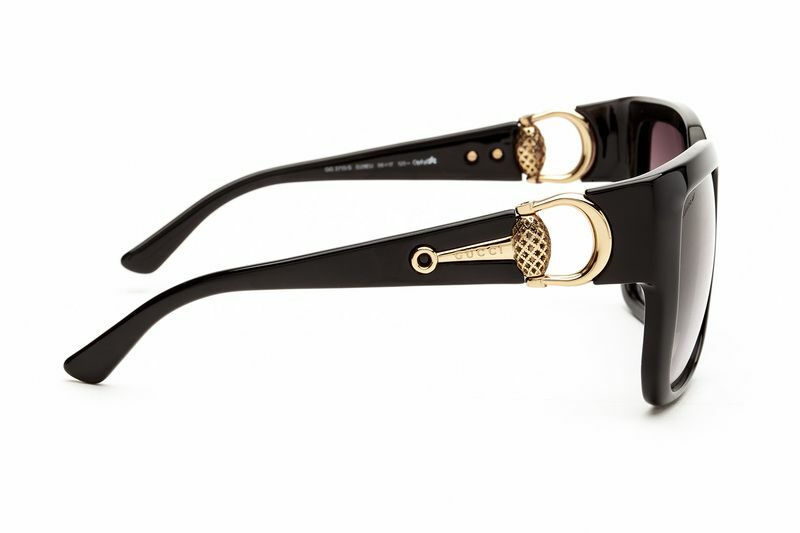 All of our sunglasses are 100% authentic and will come with warranty and everything that is normally provided by Gucci! If you have anymore questions, do not hesitate to ask. Thanks!